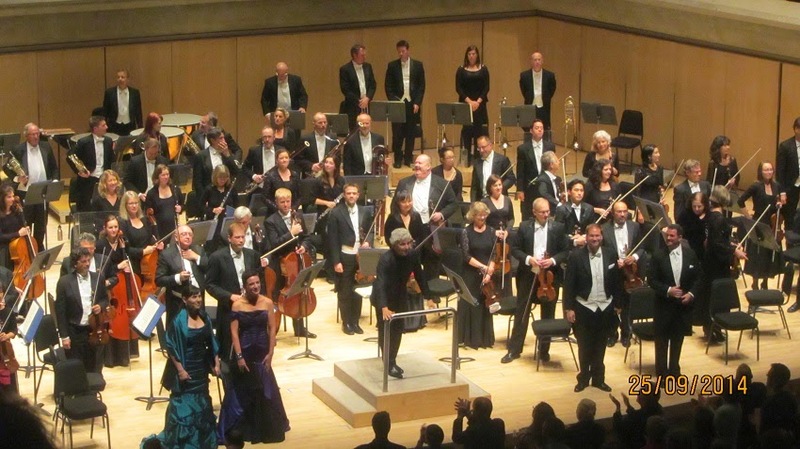 Any performance of Beethoven's 9th Symphony is an occasion, and the performances currently at the Toronto Symphony Orchestra is no exception. And with the added attraction of star pianist Daniil Trifonov in Rachmaninoff's Rhapsody on a Theme of Paganini, it's really icing on the cake, Never mind the combination of these two totally disparate works on the same evening seems to lack rhyme or reason. But with such a wonderful pianist as Daniil Trifonov, who am I to complain? I attended opening night on Thursday September 25. It was quite a good turnout, and the knowledgeable audience was respectful and well behaved, unlike the stargazing attendees bent on breaking Joshua Bell's concentration on opening night with their unruly applause. The Rachmaninoff Rhapsody is an extremely challenging work, but for the Warsaw Competition Silver Medalist Daniil Trifonov, it was a virtual cakewalk. He combined bravura technique, singing tone, and uncommon sensitivity in his playing, but never showing off his virtuosity at the expense of the music. The slow section leading up to the big theme was played with great expression, lots of soft pedals, perhaps rather ultra-Romantic, but with Rachmaninoff it's allowed! 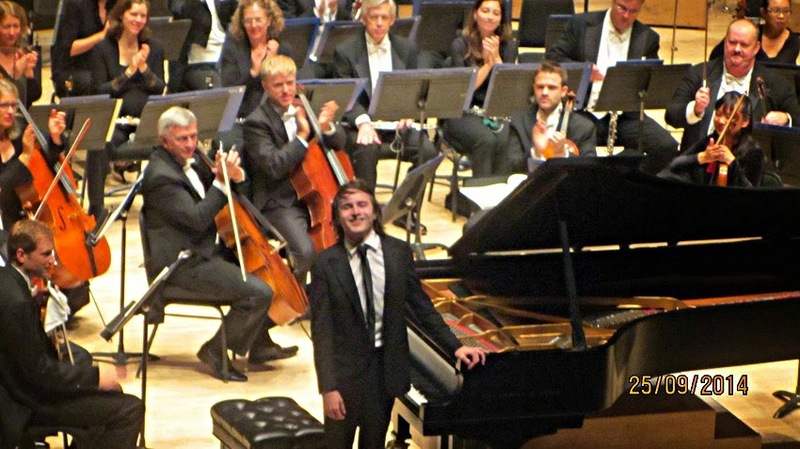 Over all, it was a remarkable performance and Trifonov deservedly received thunderous applause. Surprise, surprise - the Russian pianist rewarded the audience with an encore, something that never used to happen in symphonic concerts. Staying with the same composer, Trifonov played - wonderfully I might add - Rachmaninoff's transcription of a Bach Partita. The second half was the centerpiece of the evening, the 70 minute Symphony No. 9. Peter Oundjian explained the unusual placements of the musicians, with the basses and celli on the left and the second violins on the right. Members of the Toronto Mendelssohn Choir were also not arranged in sections the normal way, by voice types, but are all mixed together, and singing without the score. I am curious about the thought processes behind that. Whatever it was, it worked! The choir sang beautifully, if quite loudly, perhaps to match the orchestra. I find the torrents of sound from the orchestra and the choir impressive in terms of decibels, but the downside was it put the quartet of soloists at a disadvantage. I think I've heard Beethoven 9th at least fifty times (actually probably a lot more) over the last 48 years of concert going, and I admit that I'm partial to helden-voices in this piece. I guess I've been spoiled by the likes of Dame Gwyneth Jones, Jon Vickers, Dame Margaret Price, Matti Salminen, and more recently Jonas Kaufmann. There is a reason why big voices are essential in this piece, given the size of the orchestra and the size of the choir often used. It certainly applies to this performance. 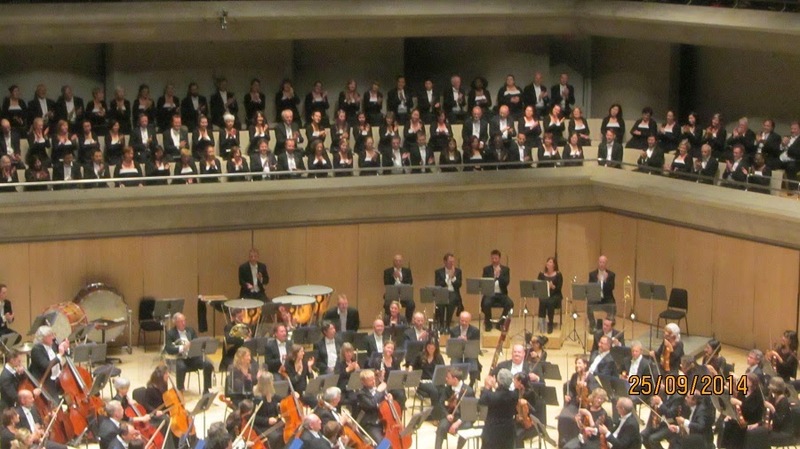 The Toronto Mendelssohn Choir makes a big sound when asked, and when you pair it with the TSO under Peter Oundjian, there is no sparing of decibels here. The quartet of soloists - Jessica Rivera, Andrea Ludwig, David Pomeroy and Tyler Duncan - all have fine voices and they sang well, but none of them can be considered dramatic singers. Perhaps it was the overhang in the mezzanine, even sitting in my prime media seats in the middle of the mezzanine, I found in the climaxes, the soloists didn't have much impact. I would have preferred a darker, more bass-like sound from the baritone Tyler Duncan. The soprano Jessica Rivera sounded quite angelic but her lyric voice was under-powered most of the time, even in that one line where the soprano gets to show off her purity by rising to a high note dolcissimo at the end of the phrase. The mezzo soloist in this work has always been problematic as Beethoven simply didn't write anything showy for her. 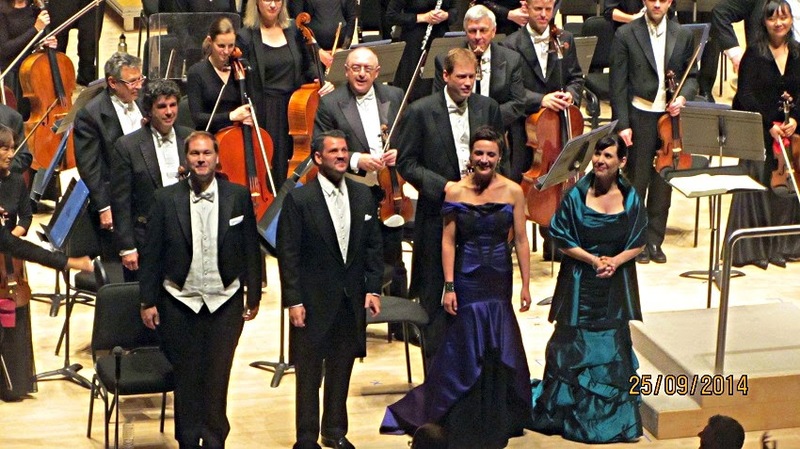 Mezzo Andrea Ludwig did the best she could with a thankless part. Tenor David Pomeroy managed his lines well in a bright if somewhat lean sound. Beethoven 9th, however its greatness, is a rather episodic work, and its up to the conductor to hold it together. It is a showcase for many sections in the orchestra, particularly the brass - I can't quite think of another work requiring the amount of trilling from the horns, for example! There were plenty of individually brilliant playing tonight. The only thing wanting was perhaps a stronger sense of the overarching architecture of the work from beginning to end. The finale was taken extremely fast by Oundjian, making for a sonically brilliant ending, but didn't contribute to the total cohesion of the work. If I'm sounding curmudgeonly, it is because I've been cursed with so many great memories of this work in the concert hall over nearly half a century. But I'm the first to say that every performance of Beethoven 9th is an occasion, and I'm happy to have been there to witness it.